The Griffons took over first place in PLSQ with their victory. Photo courtesy Audrey Magny. A late penalty earned the Griffons an important win. Photo Courtesy Audrey Magny. 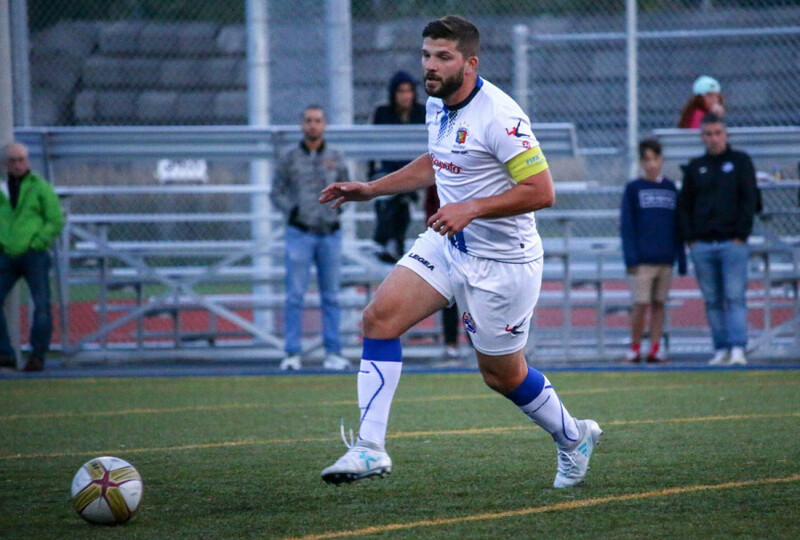 Since the Club soccer Mont-Royal Outremont Griffons’ last loss to Association de soccer de Blainville in late July, they’ve gone undefeated in their last seven games, managing six wins and drawing one, earning a total of 19 points from a possible 21. At the center of the Griffons’ recent success is club captain, Sean Rosa. In CS MRO’s latest victory over AS Blainville, Rosa continues to lead by example for his club. His late penalty in Sunday’s win not only took the club to first place this season, but showed Rosa’s ability to thrive under pressure. The Griffons met Blainville for the third and final time this season at Parc Blainville. 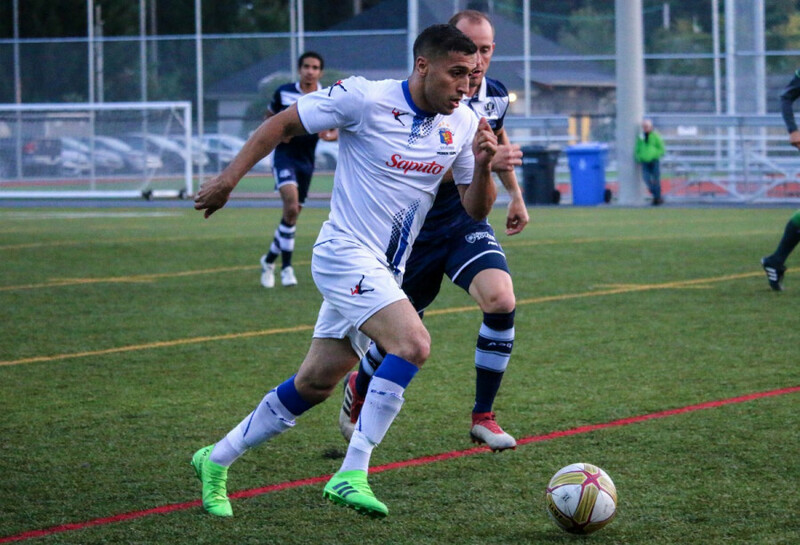 With the defending champions sitting one point above second place, with a game in hand, it was arguably the Griffons’ last chance to challenge for the top spot in the Première ligue de soccer du Québec. “Everything was on the line [for the club],” said CS MRO head coach Luc Brutus. Held at 0-0 for most of the game, a late, controversial, penalty call at the 79th minute provided another chance for the Griffons to grab the lead. Louis-Philippe Campagna went down in the box after Idir Redjradj’s challenge, who would also be ejected from the game after he was shown a red card. 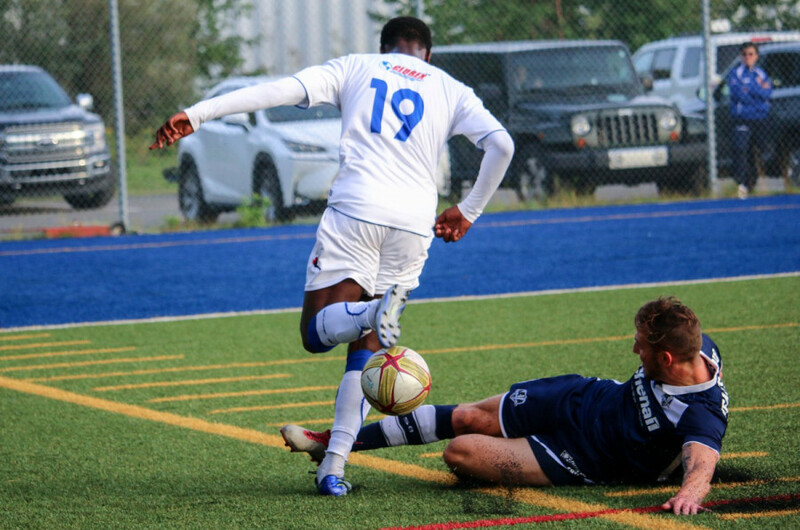 After Blainville goalkeeper Erwann Ofouya denied midfielder’ Billal Qsiyer from the penalty spot in the first half, Griffons players and the coaching staff shouted for Rosa to take the second opportunity. Rosa would have to take the penalty after a player crossed the penalty box line before the ball was kicked, but the midfielder remained composed on the second attempt, scoring the winning goal. His team leading sixth goal earned the team what could be their most valuable three points of the season. The standings show a close battle for first place at the end of the season in the PLSQ. Photo Courtesy Audrey Magny. Last season, the Griffons were captained by defender Riccardo Teoli but Brutus opted for a change this year. After speaking to both players, Rosa earned the club’s armband. Since scoring against Blainville in their 2-1 loss in July, the former Canada under-20 international has made a habit of scoring decisive goals for the Griffons, putting up five goals and one assist in his last eight games. “I’m just happy for the team, I think we’ve hit our groove, we know now we’re in a good spot,” said Rosa. Brutus added that the Griffons are on a good path, and with the team picking up speed, Blainville is beginning to feel the pressure. With momentum beginning to tilt, Rosa realises that the team still has a ways to go before anything is set in stone. While the Griffons are temporarily in first place, Blainville hold the advantage having played a game less.